Because we view each project as unique, we build our team to meet your specific needs. We have strong relationships with expert professionals, the best-of-the-best in technology, and select the professionals that can deliver the most exceptional results for your business. Intuitive is not only what your websites, products, and solutions should be for your customers and users—it is what you need from your team. The faster someone can understand what you require (to get inside your head, if you will), the faster you receive results. Often, our clients are not sure what they need, or don’t have time to lay out all the specs. Janet is well-known for taking a one or two sentence vision statement and exceeding her clients’ needs and expectations. This is the value of intuitive knowing. Janet’s intuitive and analytical abilities, blended with hands-on experience in the areas of Web design, User Interface design and Technical Documentation, give her the perfect mix to meet the various and sometimes broad needs of her clients. 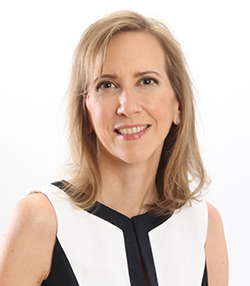 Janet’s understanding of business goals and context, integrated with her knowledge and insight into the multi-dimensional world of experience design, offers an unrivaled skill set, producing superior results for clients and their customers. Janet Wayland has a BS in Business/Economics from Randolph-Macon College and a MIS (Masters of Information Systems) from George Washington University. As a proven and expert technical writer, she quickly and naturally established herself as a knowledgeable Web Designer and User Experience Designer by the mid-90s. She regularly attends workshops & conferences in various disciplines including web design & analytics, information architecture, creativity, intuition development and the healing arts.